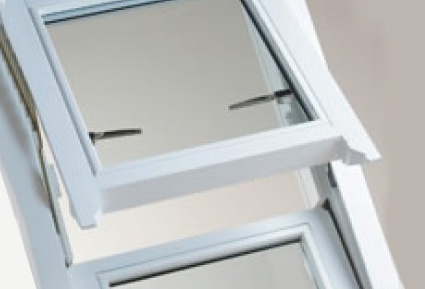 This high performance window was originally designed and patented by David Marshall of Blairs in 1983 and is recognised throughout the industry for its unique characteristics; combining traditional aesthetics with modern functionality and technology. The BDS reaches its 30 year milestone in the same year that the prestigious Blairs brand celebrates its centenary, having evolved from a small upstairs workshop in Laird Street, Greenock, back in 1913. The BDS is a distinctive feature in many prestigious buildings the length and breadth of the UK and is an integral aspect of the outstanding Canada Life building dominating the Toronto Skyline. The BDS is the ideal solution for architects and designers where façade retention is required. Whilst maintaining the historical look of the building, the BDS affords safe cleaning, high security and fire escape and complies with energy efficiency legislation within todays stringent building standards. For over 30 years now, the BDS has been used across the UK to solve the problem of traditional appearance versus modern high performance construction methods. The BDS is tested to the highest standards by independent test houses and is fully certified for air and water resistance as well as achieving Secure by Design test standards for both our standard and fire escape versions. Even with its superior performance, due to modern production methods, the BDS is competitively priced in relation to Blairs traditional sash and case window. The result is outstanding value for money, a further benefit to our clients who may have to work within budgetary constraints in today’s economic climate. To this day, David’s expertise ensures the ongoing development of the BDS guaranteeing it continues to pave the way at the high end of the timber window market.Blairs is the UKs leading brand of high-quality bespoke timber windows & doors providing the widest range of timber products, whether your property is listed or a modern, contemporary, building; Blairs has a style to suit you. All Blairs windows are supplied with Saveheat energy efficient glazing as standard and their accreditation as a Secure by Design Licence holder means that your property enjoys both protection and energy efficiency. At Blairs, the solutions provided deliver a seamless experience of expertise, from design and planning approval, through to manufacture, delivery and installation.